Red/white raw rice -1 Cup. Chana dal – 1 tbsp. Urad dal – 1 tbsp. 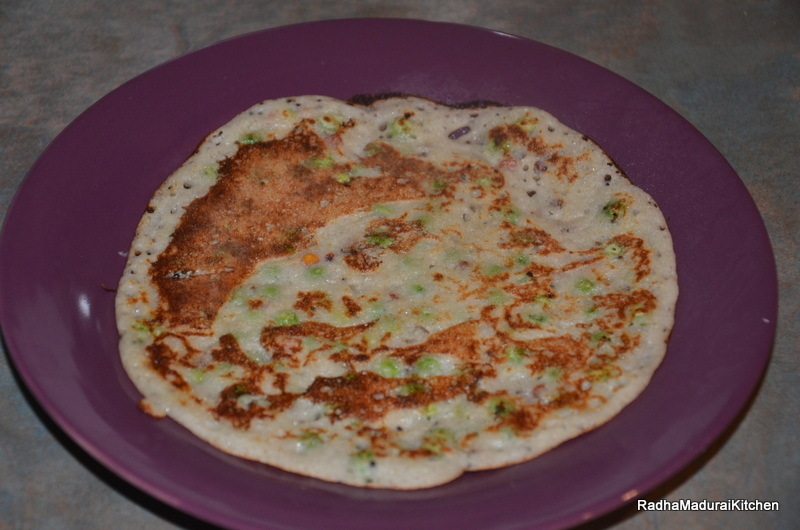 Refer to quinoa dosa recipe for preparing the batter. Heat some oil in a pan and add mustard seeds.wait until the seeds starts to splutter. Add the urad,channa dal and wait until it starts to become brown.Now add the peas,sliced green chilies and saute for few minutes until it becomes soft. Add the tempering to the batter and mix well. Now heat the tawa and pour a small cup of batter and spread it on the tawa. cook for few minutes and turn over.Remove the uttapam from the tawa and serve hot with a chutney of your choice. Quinoa is a rich source of vitamins and minerals which is predominantly used in salads.It is gluten free and easy to digest.It makes a fantastic ingredient when added to your breakfast.Quinoa can be used to make some light snack or meal. Wash and soak Urad dal, fenugreek seeds,Rice and Quinoa for one hour. Mix the Urad dal and fenugreek and leave them to soak. Grind the Quinoa and rice seperately until its smooth. Mix all the batter together well.The consistency of the batter should be like the normal idly/dosa batter.Leave it to ferment overnight. 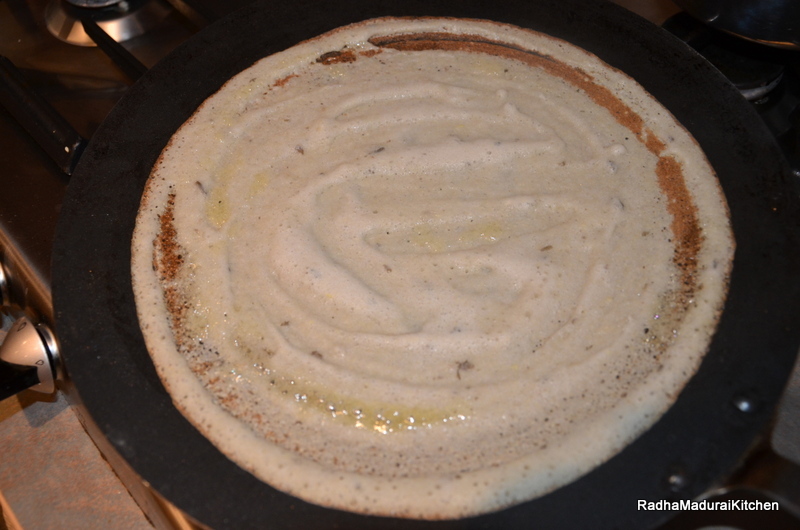 Heat the tawa and pour a laddle full of batter onto the tawa to make the dosa. 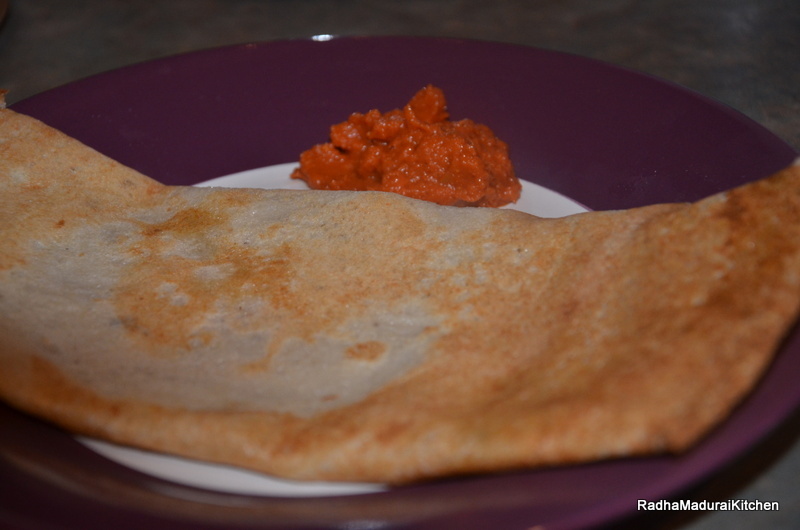 Serve the dosa with a chutney of your choice.